Over the past ten years, companies have appeared to be insecure. ‘Would you recommend me?’ is constantly being asked. This trend has spread so far that cities, universities, even the Boy Scouts of America are asking this question. In the past ten years, somewhat like Justin Bieber, asking this question quickly rose to popularity. However just like ‘the Biebs’, the usefulness of this question has been questioned, nobody seems to stop talking about it, and yet deep down something does seem to be of value. Not long after the Harvard Business Review publishes “The One Number You Need to Grow”, the concept becomes a smash hit. The ‘one number’ is calculated by taking the percent of people ‘highly likely’, minus the percent ‘unlikely’ to recommend the company (a ‘net promoter score’ or NPS for short). The claim is that by using this one simple question to manage its business a company can grow more quickly. NPS has become a discussion in the board room, is being broadly used to measure and manage success and some companies even tie executive and employee compensations to achieving specific NPS targets. The problem is the claim that this score is correlated with growth is false. If anything, the companies that use this tool appear to grow more slowly. What is NPS? 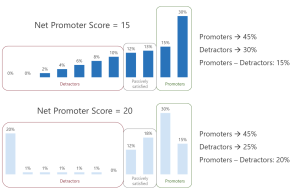 The ‘one number’ is captured by asking “How likely would you be to recommend Company X to a friend or colleague, on a scale of 0 to 10?” The resulting data are then aggregated into ‘promoters’ (scores of 9 and 10), ‘detractors’ (scores of 0-6) and ‘passively satisfied’ (scores of 7 and 8). 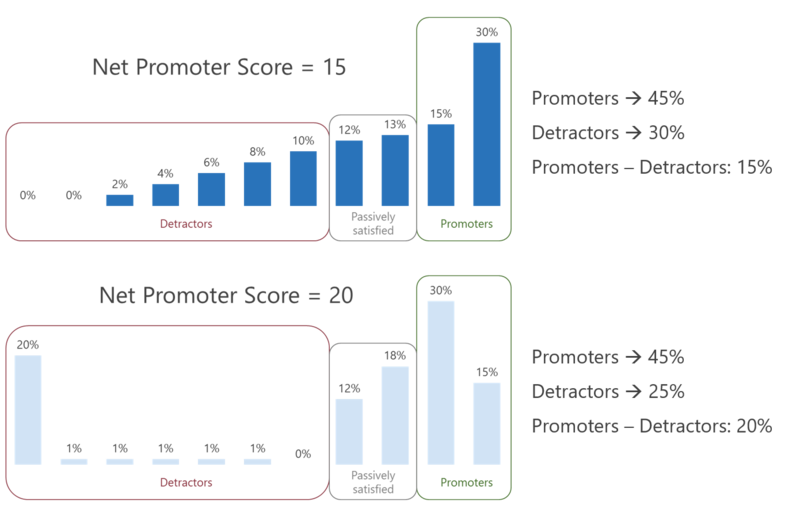 By taking the percent of promoters minus the percent of detractors voilà you have the Net Promoter Score. Why did it become so popular? It seems logical; advocacy correlating with revenue makes sense. It seems credible; it was published in the Harvard Business Review and purported to be based on data. It is easy to monitor; it only requires one question to be asked and a single value can be easily communicated and used to manage performance. How do we know it doesn’t work? To test this claim, we conducted an experiment. We started with the companies Bain and Co. (strong proponent of this tool) reports using this metric. We selected all of those companies that are listed in the S&P 500. We then calculated the growth rate of all of those companies and compared those results with an equal number of companies randomly pulled from the S&P 500 (nearly 100 companies in total). What we found is opposite to what you’d expect. 62% of the companies reported to use NPS show positive growth (2012 to 2015 CAGR). However, 68% of companies selected at random from the S&P 500 show a positive growth over the same time period. So what, tracking NPS scores can’t be ‘bad’, right? Wrong. An increase in the percent of ‘promoters’ versus ‘detractors’ may suggest a company is improving, when in fact, it is not. At the risk of delving too deep into the numbers, consider just one example:In 2015 the company is obviously in a better position, right? In NPS terms, wrong. 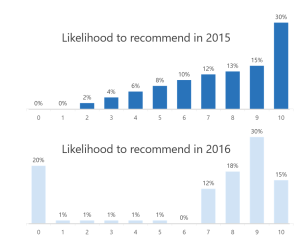 In 2015 the company’s net promoter score is less than what it achieved in 2016 by 5 points (NPS changed from 15 to 20). This 5 point gain might be considered a success. However looking at the data, the 15 point NPS score reflects a better position with customers than when the company increased to a 20 point NPS score. NPS can provide a measure of customer sentiment. NPS can encourage an external customer focus. Similar to Justin Bieber, NPS is not for everyone. Even if you are a fan and have adopted a process to measure NPS, looking deeper is vital. 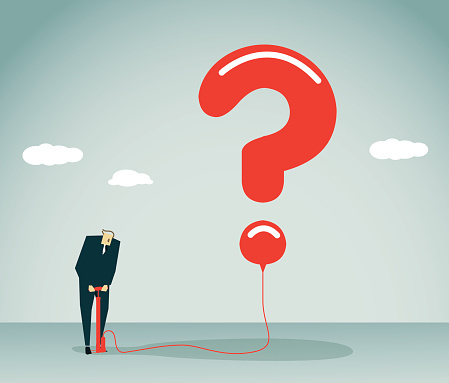 Asking one ‘magic’ question may seem enticing and can give one point of reference. However linking employee compensation to an NPS is ill advised. When listening to customers, rely on a variety of questions and focus on attributes that customers find most important in selecting the product or service you offer; ‘recommendation’ is likely to be part of it, but unlikely to be the only part. About the author: Paul Abel, Ph.D. has been conducting research for over 20 years. He is a Managing Partner at Blue Research. Prior to Blue, Paul led research efforts at the executive level for Intel, Corp. Paul has also served as a consultant at Gartner Group. Paul holds a B.S. in Psychobiology from UCLA and a Ph.D. in Psychology/Neuroscience from the University of Washington. Paul teaches graduate-level marketing courses, serves as a director on several boards and is involved in a variety of non-profit and charitable efforts. Frederick Reichheld, Rob Markey (2011), “The Ultimate Question 2.0 (Revised and Expanded Edition): How Net Promoter Companies Thrive in a Customer-Driven World,” Fred Reichheld and Bain & Company, Inc.
Satmetrix (2004), “The power behind a single number: growing your business with net promoter”, Satmetrix Systems.